For all the people curious about why the film is titled October – It is because in October a flower named ‘Night Jasmine’ (which in Bengali is called ‘Shiuli’) blooms and that is the favourite flower of the female lead, Shiuli (Banita Sandhu), in the film. Danish Walia aka Dan (Varun Dhawan) works as a trainee at a five-star hotel in Delhi. Shiuli is his co-worker and ex-classmate. Dan is a straightforward guy who doesn’t mince his words and is infamous in the hotel for his ‘temperamental’ behaviour. He notices and feels everything deeply and spots even a minute irregularity. Due to a tragic accident, Shiuli is admitted to the ICU and surprisingly Dan finds some interest in just seeing her everyday even though they never had any kind of friendship. Dan is intrigued that her last words just before the accident were “Where is Dan?” and that leaves a great impact on him. So, he decides to visit her everyday even though everyone constantly questioned him that why he visits her because he is neither her relative nor her boyfriend. Gitanjali Rao as Shiuli’s mother, who is just keeping her hopes alive about her daughter, is a wonderful display of acting. She breathes life into her character by conveying the melancholic emotions rightly through her pain-stricken eyes. Banita Sandhu has a role to just stare dead into nothingness for most part of the film but even pulling such a role off is an exemplification of talent in itself. Varun Dhawan is undoubtedly the heart of October and acts as if he really is Dan. He makes us forget about the Hammy-Judwaa-Act and takes us back to his previous best work – Badlapur – and shows us that why he is an all-rounder. He portrays emotions as serene as the winter mornings in an effortless way. Shoojit Sircar (Director) and Juhi Chaturvedi (Writer) have always done wonders and here too they deliver the most unusual love story, or that is to say a story about love, in a gracious way. They showcase an unusual bond between two people who barely had a conversation in the film prior the tragic day. Sircar carves a slow-paced tale about an unlikely bond between two people and instils every dialogue-less frame with things left for the audience to interpret and so this film needs an active audience. The sluggish pace acts as a benefit in conveying minute feelings between the two leads. The masterfully executed close-ups by Avik Mukhopadhyay and poised night jasmine shots, with an amazingly eye-pleasing bokeh, are a treat to watch. 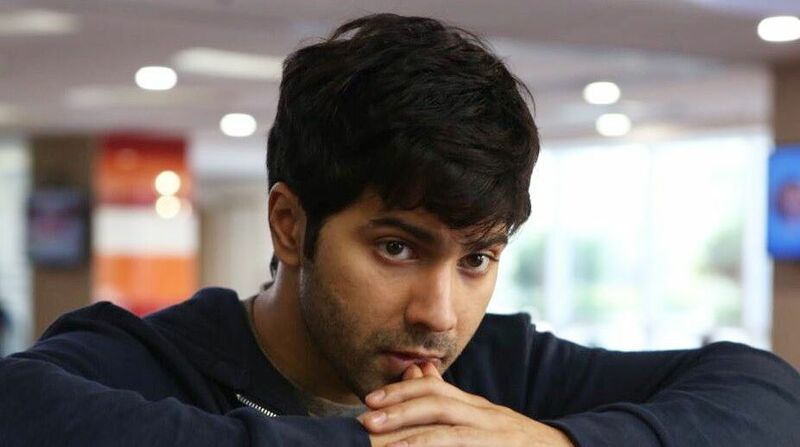 If Varun Dhawan is the heart of the film, then the soul is the soul-stirring instrumental theme of October by Shantanu Moitra. The violin in the theme song is the subtle conveyor of every melancholic frame. The film is not for the ones who don’t like slow-paced tales but still it should be watched because it may make you introspect about how far you can go with a little hope for someone. The film is definitely a must-watch and will remain with you for long.